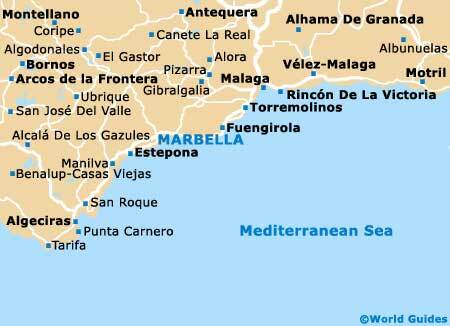 Marbella may be known for its sandy coastline and beaches, but there are plenty of green spaces, gardens and parks situated inland. One of the most popular parks in Marbella, the Parque Auditorio de la Constitución is well-maintained, with secluded seating areas, attractive gardens and pathways. 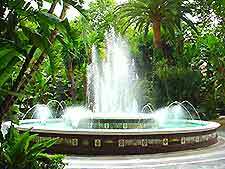 Other notable parks and gardens in Marbella include the Parque Arroyo de la Represa - which offers many leisure pursuits and playing fields, and the Parque de la Alameda - which is known for its traditional Mediterranean planting. Situated in the heart of central Marbella, Alameda Park is full of mature trees and typically colourful Mediterranean plants. A particularly fragrant spot with quiet seating areas and walking trails, Marbella's Parque de la Alameda is known for its stunning Salvador Dali sculptures and pleasant views. Close to the seafront, this park is popular with both locals and visitors in central Marbella and contains many colourful and seasonal flowers, including huge bougainvillea specimens. The park also offers a playground area for children and an impressive outdoor auditorium area, where a number of notable summer festivals, fiestas and concerts are held. A vast area of parkland which has been well landscaped over the years, the Parque Arroyo de la Represa offers an endless selection of recreational activities, including playing fields and good sports facilities. With a lake, benches, pathways and shaded areas, the park is situated in central Marbella and is home to the city's unusual Bonsai Museum (Museo del Bonsai).